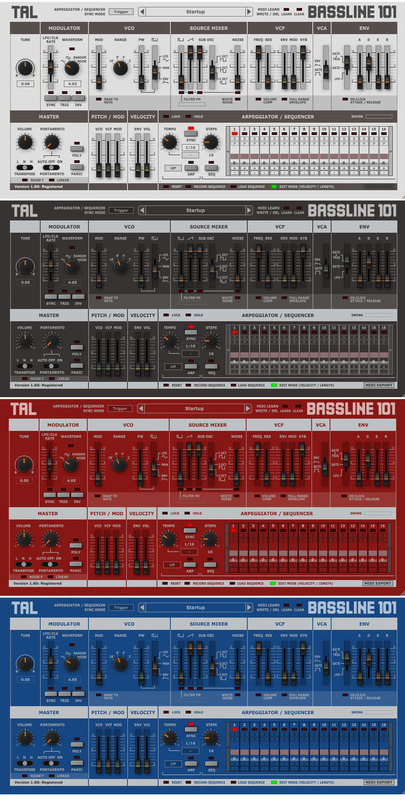 TAL-BassLine-101 is a monophonic bass synthesizer with a classic analogue sound. The GUI is intuitive and easy to use. It produces the raw sound you know from analogue devices without any effects. BassLine has a very smooth and authentic analogue sounding 24dB zero feedback delay resonance low pass filter. DeClicker mode for slower envelopes.